Totally UK has been providing premium brands to the beauty industry since 1991. Working with professionals in salons and spas across the UK and around the world, our distribution service has seen our brands’ growth exceed expectations. We pride ourselves on providing first-rate customer service, expert training, and sales and marketing support to all our clients; helping them to grow and maximise sales opportunities. Find out more about our brands using the links above, alternatively call us on +44 01784 259988 to see how we can help. LEADING THE WAY IN SKINCARE INNOVATION FOR 50 YEARS. 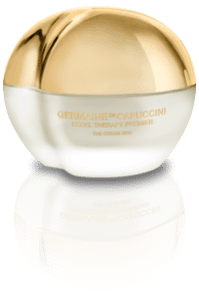 Totally UK exclusively distribute Germaine de Capuccini in the UK. The world's most famous inch-loss body wrap that provides the double inch-loss guarantee. This brand new range is launched with a luxury waxing range, soon to be joined by a range of products that bring the spa experience home.